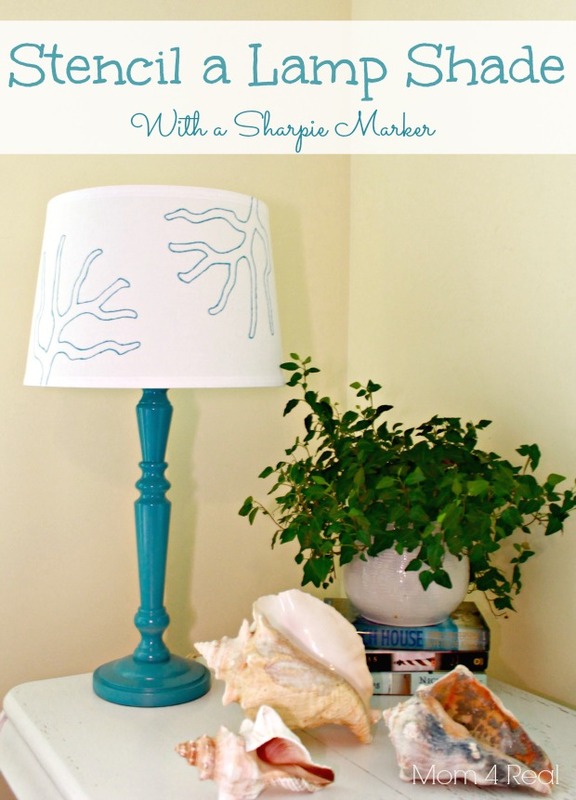 I recently created a stenciled lamp shade using a sharpie marker. 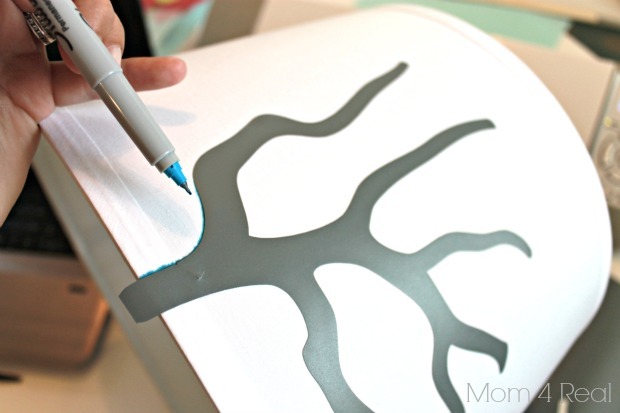 It may be a new thing around here…stenciling with sharpies, that is. Seriously! 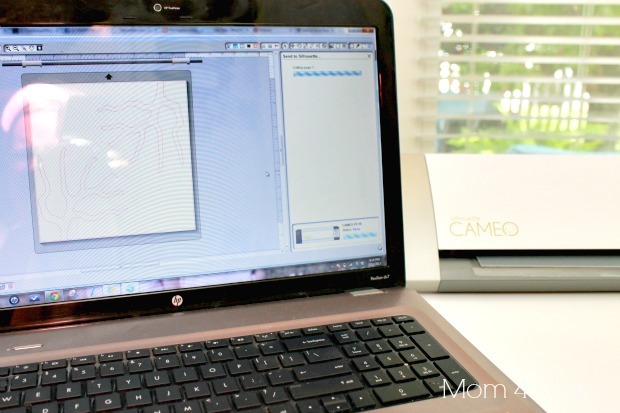 You can take a sharpie marker, trace just about anything, and make it absolutely gorgeous! I started with this plain old drum shade from Lowe’s. It was less than $10. 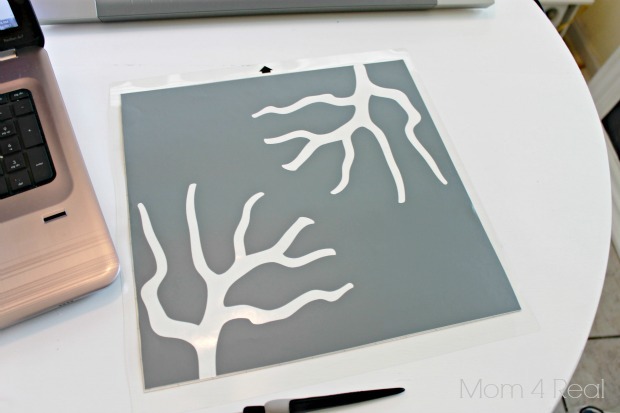 I used my Silhouette to design my stencil, but if you don’t have one, no worries. You can totally make your own! I was planning on using the stencil and painting the inside, but once I pulled the coral cutouts from the mat, a new idea hit me. 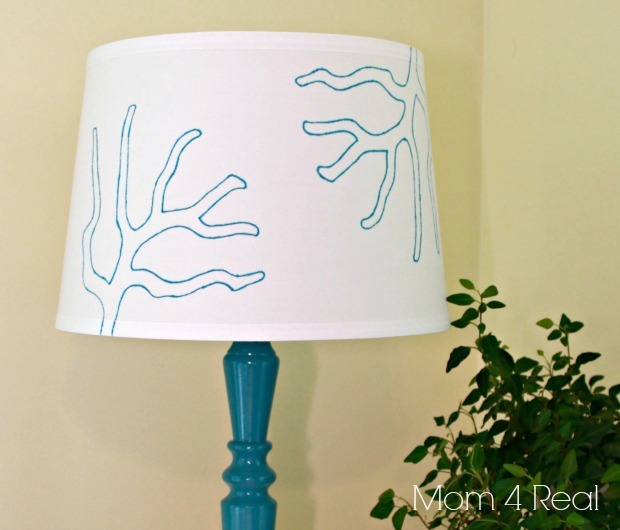 I took the coral cutout and smoothed it onto the lamp shade, and traced it with a sharpie marker. I have to be honest, I was a little scared, but it turned out perfectly! I pulled the coral shape off the lamp shade and was instantly in love. 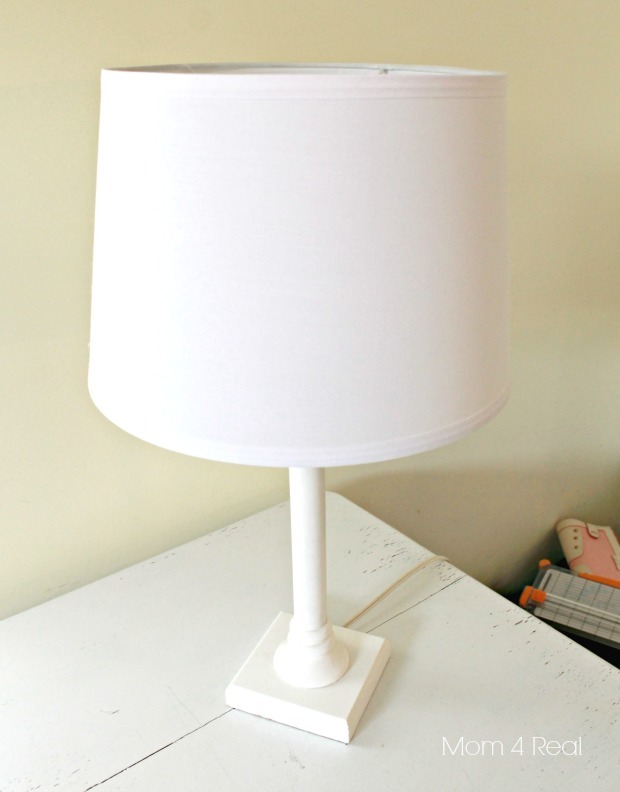 I also spray painted a lamp base so the shade would really pop! It works perfectly in my little corner of the living room! What do you think? 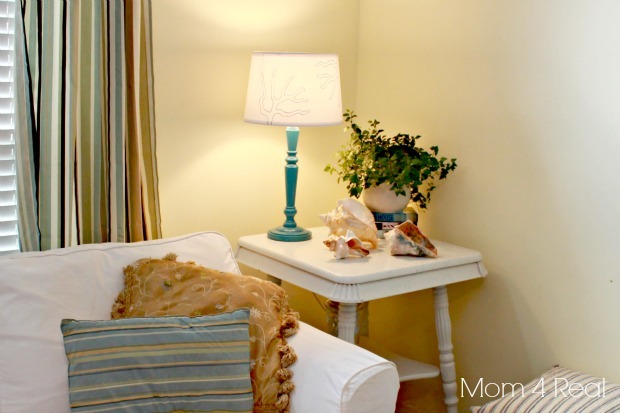 Would you draw on a lampshade with a sharpie marker? Sharing at Homestories A to Z, Savvy Southern Style, Not Just A Housewife, and Stone Gable! « Get Organized & Save Space with All Access Organizers! Wow! And you can use any color to match anything! Great idea, girl! Thanks! I love this – one of my favourite little projects is redoing lamps… I have covered them with fabric, ribbon, sisal rope… But never drawn on or stencilled one. Awesome idea!